Mary was a fossil hunter. When she was a little girl, she and her brother went out to look for 'curiosities' on the beach, so that her Mum could sell them in her shop. Then, one day, a storm came and her Mum's shop got flooded, and all the curiosities got swept away. So Mary and her brother went to find some more curiosities. And they found an ichthyosaur skeleton. They didn't know what it was - they thought it might be a crocodile. 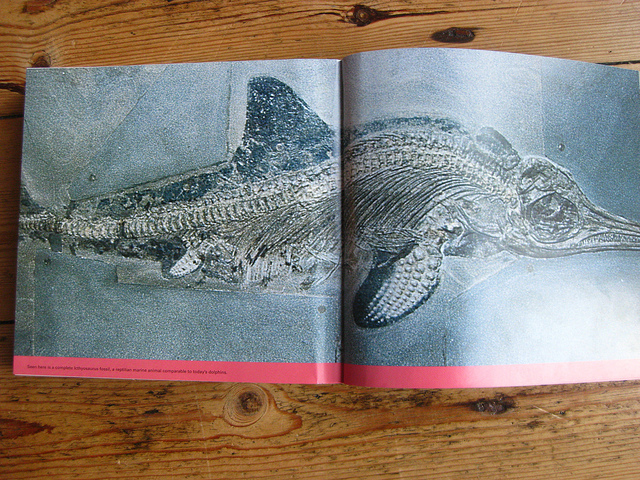 But a man came and told them that it was an ichthyosaur, and that it was called a 'fossil'. And he bought the fossil for £23, that was a lot of money!!! And then Mary decided that she wanted to be famous as a fossil hunter - and she was!! 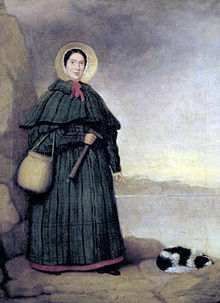 The picture below is what Mary Anning found. It's not actually that one, but it's one just like it. It's an ichthyosaur.